With a new lounge menu launching this month, we couldn’t think of a more appropriate blog topic than brunch! We all love brunch. Whether it’s at 11am on a Monday starting the week off motivated or 3pm on a Thursday, we love to brunch with good quality coffee along with tasty nutritious food. Brunch is about taking some time to relax and enjoy a little personal indulgence either alone or with friends. Our personal favourite is crushed avocado with a dash of lemon juice and tabasco dolloped on chargrilled bread and topped with two oozing poached eggs (scrummy!). We’re focusing our new lounge menu on the classics with some of our own personal touches. We have got the long term favourites of Eggs Benedict & Eggs Royale, but we’ve also got porridge on the menu with our own secret recipe and some new interesting flavours such as apple pie. Crushed avocado and poached eggs are of course on there but we’ve mixed things up a little with some chilli jam; you might prefer to build your own and add on tomato and chilli salsa and other scrummy bits. Our old favourite the buckwheat pancakes are included, but we’ve given them a spruce up so that you can build your own flavours and choose exactly what combinations you prefer. Select a minimum of three ingredients with some mixed leaf salad on the side and if you’d like add any extra ingredients!! We think buckwheat pancakes are so popular because they are dietary friendly; they’re gluten free and vegetarian so there’s no need to worry if you have any special requirements as there is plenty to choose from. Our restaurant in Sheffield incorporates lots of options that are dietary friendly and whether you’re vegan, celiac or just trying out new things we have a selection in which there will be something just perfect for you. The section of our lounge menu we are most proud of is our daily bowl food specials; the concept is one that allows us to add ingredients mixed from dishes from our other menus and thus enhances our sustainable food project by creating minimal food waste. We will always use fresh ingredients to create engaging, energising and innovative dishes each and every day. The other all important ingredient for a fantastic brunch is the accompanying beverages. We particularly love @birdhouse looseleaf teas; they are a local Sheffield company and they do the most unbelievable flavour combinations!! The strawberry lace tea is an absolute must & the ‘Full Monty’ English tea is incredible! We also use Grumpy Mule fresh coffee beans for those all-important coffees; the rich coffee blend & aromas give all who indulge an amazing taste sensation. Whether you want a soothing latte or an energising espresso this blend will not disappoint. We look forward to welcoming you to the Inox lounge; we are absolutely confident that our redesigned menu will hit the “Brunch Spot”. If you’ve got an upcoming special occasion and you’re looking for the perfect place to celebrate, look no further than Inox. Our contemporary restaurant can make for the ideal party venue in Sheffield whatever the occasion. With views over the city centre, top class cuisine and a late-night bar, both you and your guests will be ensured of a night to remember. We take a look at how you can shape INOX to make the ideal party venue for your special occasion. Whether you’re hosting a lavish party for 250 guests or you’re looking for a more chilled out sit down meal, INOX will be able to cater for your needs. Our award winning kitchen team will deliver your food to the highest standard whatever meal choice you go for. Our head chef Joe Berry will work with you to choose the food that you want at your party. Once you’ve chosen your party venue in Sheffield you’ll want to ensure that you choose a DJ that will keep you and your guests dancing away all night long. There are loads of DJs in Sheffield, but you’ll probably want to find one that will suit the age group at your event. If you’re unsure how to source one, Inox will be able to offer you a helping hand. Our stylish bar and lounge area can be the perfect place to unwind and socialise away from the music. 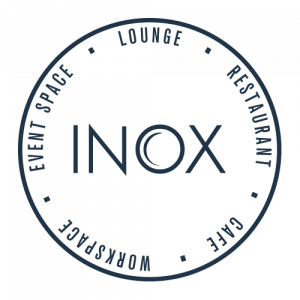 Inox has a specialist cocktail menu which is a great way to celebrate with family and friends. Our bar is also stocked with a wide range of fine wines, spirits and beers with plenty to go around and keep your party guests hydrated. 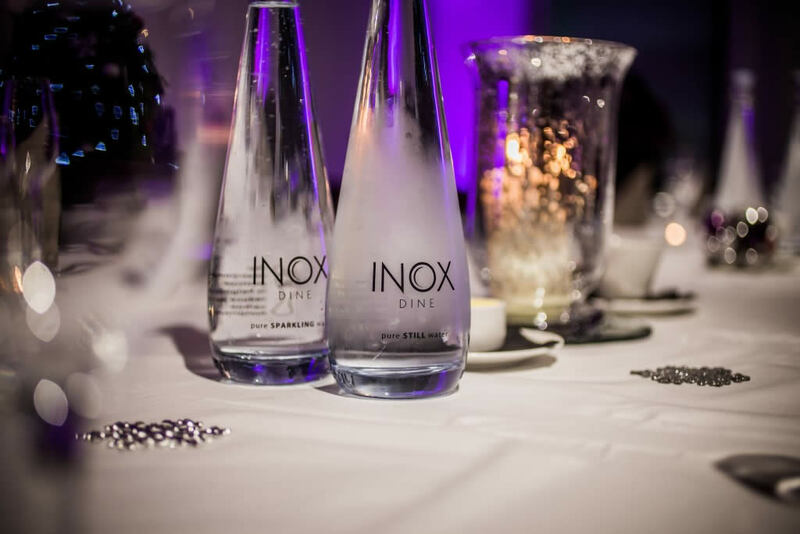 If you’ve got a celebration on the horizon and you want to find out more about how Inox can provide the perfect party venue for your event contact us today on 0114 222 6043. We can arrange a tour and show you how you can make the most of our fantastic space. As we head towards winter it’s that time of the year that awards ceremonies begin booking up. Whether you’re looking to host an awards night within your company or you’re booking an awards ceremony for an industry group, INOX can provide the perfect awards venue in Sheffield. Why choose INOX as your awards venue in Sheffield? INOX offers a relaxed and stylish atmosphere which will immerse your guests into a fun and enjoyable experience for the whole evening. We have every element of your event covered and with our team’s experience, we can offer you advice along the way to help you plan the perfect awards ceremony. Here’s a few reasons why you should choose INOX. Our contemporary design, city centre location and flexible layout makes us the ideal awards venue in Sheffield. We can personalise the venue to offer a bespoke setting that is in keeping with your organisation’s own branding. Our unusual venue has unique elements that fuel imagination and enjoyment, whilst we can also add practical features like a stage area. 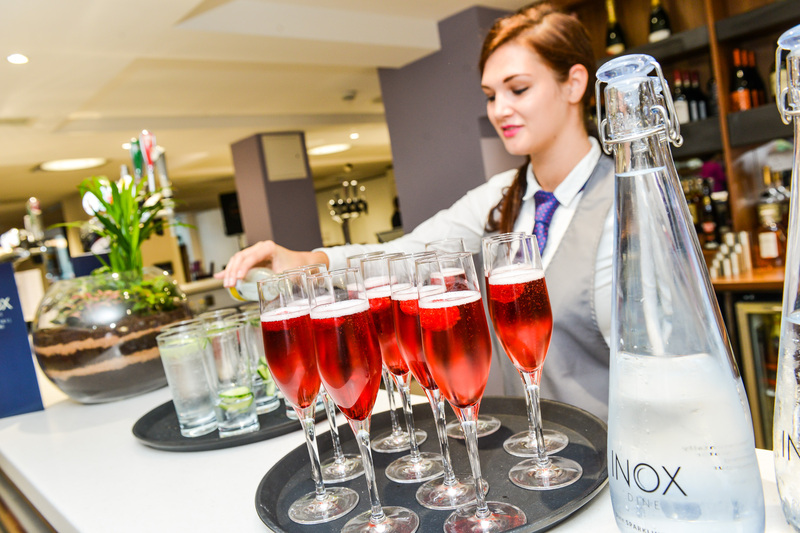 Here at Inox we understand that many people judge the success of their event based on the food that’s on offer. Our team of talented chefs can cater for your every need and create a unique and bespoke menu that is sure to put the class into any evening. Following the presentation ceremony your guests might want to celebrate their award wins and nominations and who can blame them?! We have an excellent bar space which can serve a wide range of beers, wines and spirits. We can also offer a fizz and canapé reception for when guests arrive, whilst our dance floor is a great way to unwind once the proceedings are complete. As a venue within the University of Sheffield, you won’t be surprised to hear that we’re all hooked up with technology. We have a built in sound system which allows you to use microphones, play music and show presentations throughout the whole venue. We also have six projection screens that can be spread across the venue to make life easier for your guests. You can contact us today to book your awards venue in Sheffield. Our event management team will collect all of the details that they require before offering you a price for the evening. We’ll be able to talk you through the various options available to you and come up with a truly bespoke arrangement. Contact us today on 0114 222 8822 or dine@inoxdine.co.uk. With Christmas fast approaching you’ll want to know that you’ve got your celebrations in place long before December comes around. Luckily INOX have a range of special events and menus running throughout the Christmas period in our restaurant in Sheffield. Here are just a few of our excuses to celebrate. Our Christmas Dinner nights allow you to enjoy all of the festive classics for £35 per person. The menu features Traditional Roast Turkey with all the trimmings as cooked and prepared by our award winning kitchen team headed by Master Chef of Great Britain Joe Berry. The dinner is a great way to celebrate with friends and colleagues in the run up to Christmas. Bookings are available weekday evenings up until 23rd December and include a free glass of fizz on arrival. If you’re looking for a lunchtime treat then our December lunch menu allows you to enjoy a day time celebration with friends, colleagues or loved ones in our contemporary restaurant in Sheffield. The menu features all of the Christmas classics and is priced at a very reasonable £21 per person for three courses. You can enjoy the Christmas lunch throughout the week any day leading up to the 23rd December. Book your table today to secure your place. There’s so many memorable things about Christmas, none more so than a Christmas party. Whether you’re celebrating with colleagues; groups of friends; or your University sports club or society, our Christmas party nights in Sheffield are a great way to spend the evening. Our Christmas Party nights are running during selected dates in December at our party venue and restaurant in Sheffield. Why not try something a little different this Christmas. We’ve teamed up with another fine dining restaurant in Sheffield to bring you a memorable wine tasting night to remember. Our 12 wines of Christmas event will see us host Alistair Myers from the celebrated Rafters restaurant who is a Certified Sommelier by the Court of Master Sommeliers. Food on the evening is a three course meal from our own Master Chef Joe Berry. Find out more about booking the event here. To find out more about any of our lunches, dinners or Christmas Party nights in Sheffield contact our events booking team today on 0114 222 6043 or browse our site for more information. Arranging a conference or meeting takes a great deal of time, effort, research and dedication to get every detail exactly spot on. Considerations include ensuring that the conference venue has the required audio visual equipment and Wi-Fi connectivity, whilst you’ll also want to ensure that the car parking and transport is easily accessible for your guests. On top of this you need to provide hospitality, including lunch and coffees that will help keep your attendees invigorated throughout the day. At Inox, we appreciate that getting every detail absolutely right is essential to the workings of a successful event. We want your delegates to leave our conference venues in Sheffield, having enjoyed a popular day that exceeds their every expectations. One of the ways that we achieve this is by offering each client a dedicated event manager, who will help guide you through the booking process. Our event manager will be your go to person throughout the planning process, listening to your every request and doing all that they can to deliver your vision. They’ll provide you with a range of suggestions and considerations using their experience and knowledge to ensure that no stone is left unturned. They’ll highlight various arrival considerations, as well as providing practical and impressive lunch, afternoon catering and refreshment opportunities. We always want to go that step further in understanding both our event organisers’ requirements and that of the delegates themselves. We will be delighted to ‘walk through’ every detail of your Inox event in order to iron out any kinks prior to the event. After meeting the event organiser we will always update the specification by sending a new or revised event programme. If it’s a larger conference that’s been arranged we will certainly advise the implementation of our Delegate Management programme. Delegate Management starts from just £25 per delegate and enables the event organiser to wholly focus on the delegates themselves whilst cUStomised manages the delivery of every event specification required. If your delegates require collection from Sheffield Train Station or any other city transport hubs we can arrange this for you with the provision of taxis. We can also offer accommodation at our nearby Halifax Hall boutique hotel, which can provide delegates with a comfortable and enjoyable overnight stay. The hotel has over 30 rooms, a bar, restaurant and fantastic breakfast menu. We want to make the process of arranging your event as easy, seamless and stress-free as possible; we make it OUR business to know YOUR business so that we get it RIGHT for YOU. To find out more about our conference venue in Sheffield browse the Inox site today or contact our team on 0114 222 8822. Private dining space is a bit of a novelty nowadays; it’s hard to find space that’s exclusively for you and your guests. Here at Inox we can give you just that. We will transform our suites into a relaxing space for you and your guests to enjoy private dining in Sheffield whatever the occasion. If you have a celebration approaching and you’re looking for the ideal party venue in Sheffield then look no further than Inox Dine. Whatever the occasion, the Inox Dine function suites provide you and your party guests with a contemporary space to dance the night away and dine in splendour. With table room for 200 and dancing space for 400 here are just a few of the occasions that you can enjoy with us. Our Head Chef Joe Berry, a Master Chef of Great Britain, is set to join Tracy Carr, one of only a handful of female Master Chefs in the UK, to create a five star culinary experience at the Twentieth Annual Master Chef’s Culinary Evening this coming April. Held each year in the glorious red brick University building, Firth Court, the event will be celebrating its first twenty years by welcoming nationally recognised television chef Brian Turner CBE to make a special guest speech to guests at this special evening. Brian appeared on BBC 2’s Ready Steady Cook for over a decade and has made several guest appearances on BBC 1 programme Saturday Kitchen. Louisa Critchlow, Hospitality, Restaurant & Events Manager said “The dinner will provide a truly unforgettable evening for all in attendance with a six course fine dining menu and wines matched to every course, entertainment from the legendary Brian Turner CBE and a live band providing music to dance the night away. For further information and to book tickets for this event, please contact the event team on 0114 222 8999 or at momentoUS@sheffield.ac.uk.